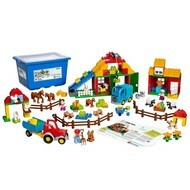 Animals, vehicles, people and buildings – everything your children need to explore life on a farm. Teach children about farming, animal care, seasons and crops. 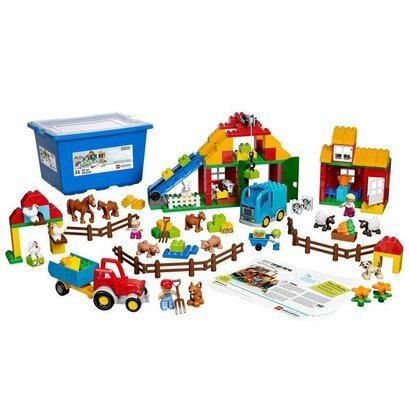 The Large Farm Set allows you to explore a range of subjects across the curriculum, from simple ideas such as what noises the animals make to more complex ones that could include how to look after them and what the changing seasons mean for our food supply and how to grow different crops. The range of animals also means that it can be used to teach sorting and categorising.